Focus: The band makes history live by presenting period brass band music, performed on antique instruments. Attired in uniforms and gowns, the Band’s musicians, color guard, and costumed ladies take you back to the 1860s, to that turbulent era known as the Civil War. 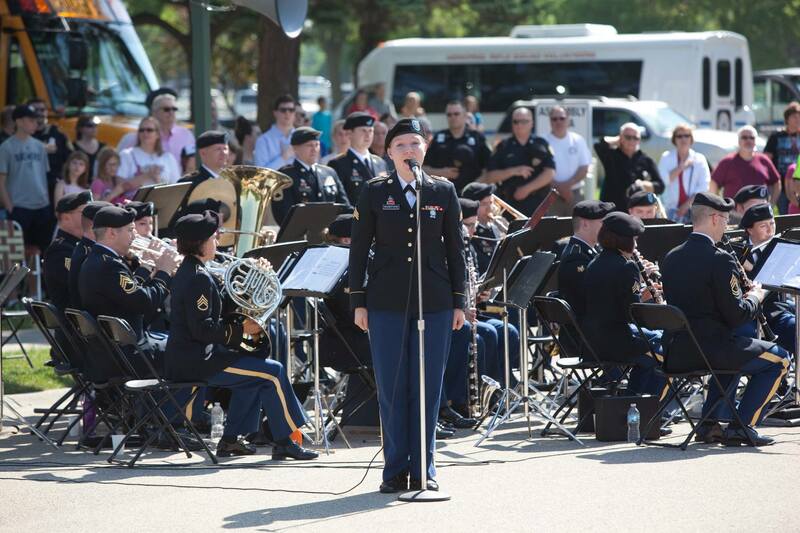 More than eighty volunteers, men and women, make up the 1st Brigade Band. Widely varied in age and occupation, they come from many communities, bringing with them a common interest in their musical heritage. During a typical year, they will meet their audience more than forty times, in concerts, parades, military balls, and worship services, presenting their educational and entertaining programs. While the abundant written and pictorial materials remain, the mellow sounds of the brass bands of the 1860s were lost until the 1st Brigade Band, starting in 1964, began to locate and restore the dented and broken instruments and to retrieve and reconstruct the yellowed and torn music. Through their work you can now hear what Presidents Lincoln and Davis, Generals Lee and Grant, and their contemporaries heard. The 34th Infantry Division “Red Bull” Band provides music throughout the spectrum of military operations to instill in our forces the willto fight and win, foster the support of our citizens, and promote our national interests at home and abroad. Whether performing for the public, supporting military ceremonies, or entertaining US Service members and our allies the Soldier-Musicians of the Red Bull Band are honored to serve in one of the US Army’s most respected Divisions. In recognition of the achievements of the 34th Infantry Division Band the unit has earned the French Croix de Guerre (WWII), the Meritorious Unit Citation (Iraq), and the Colonel George S. Howard Citation for Musical Excellence. 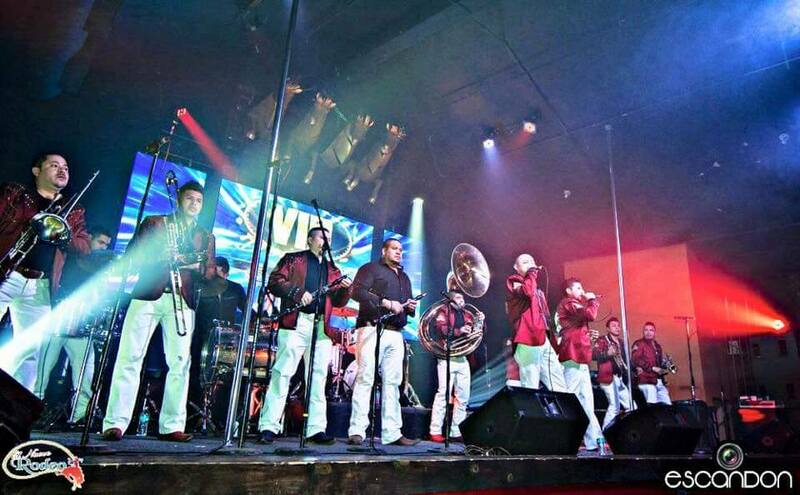 The brass septet Ameriikan Poijat (Boys of America) appears at ethnic festivals, regional tours, and music conferences, presenting authentic social dance music and concert repertoire. The band is composed of Finnish American musicians and teachers from Minnesota and Michigan, and its repertoire is derived directly from original hand manuscript sources found among Finnish bands and archives. Group founder Paul Niemistö made contact with many Finnish brass players and discovered this relatively unknown musical tradition; he formed the group in 1990. Ameriikan Poijat has toured in Finland several times, most recently in 2013, and traveled widely in the United States and Canada. 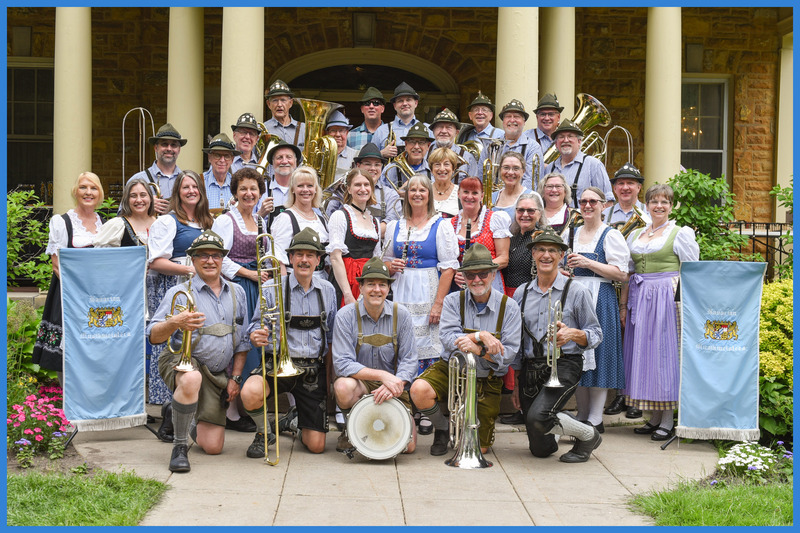 Members of the Bavarian Musikmeisters hail from the Twin Cities and model themselves after traditional German village bands, lederhosen and all. The band’s 35 musicians perform authentic musical arrangements on a variety of brass and woodwind instruments: flute, clarinet, trumpet, flugelhorn, tenor horn, baritone, trombone, tuba and percussion. They perform for numerous events in the Minneapolis/St. Paul area and have performed at Germanic festivals in Minnesota, Wisconsin, Iowa and South Dakota, as well as at the German-American Mardi Gras Association annual meeting in Las Vegas. humming, toe tapping and even dancing in the aisles! Roger (Buddy) Koopmans of Faribault, MN organized the Buddy Koopmans Orchestra in 1948 when he was still in high school. Back then, young musicians dreamed of being part of a Big Band. He brought together up to 16 instrumentalists from the region (including Northfield, MN resident Hartley Clark -then a Carleton College student) and arranged for 4-5 gigs each year. Recently Gary Anderson, a clarinetist who started playing in the Buddy Koopmans Orchestra at the age of 13, bought the band from Roger. What do you get when you “buy a band&quot;? Books of music, the classic Big Band fronts (music stands), and the right to use the name. Gary brings 16 musicians together, pulling from around the region including the Twin Cities of Minneapolis and St. Paul. Fine musicians come together to perform just because they love playing this kind of music. 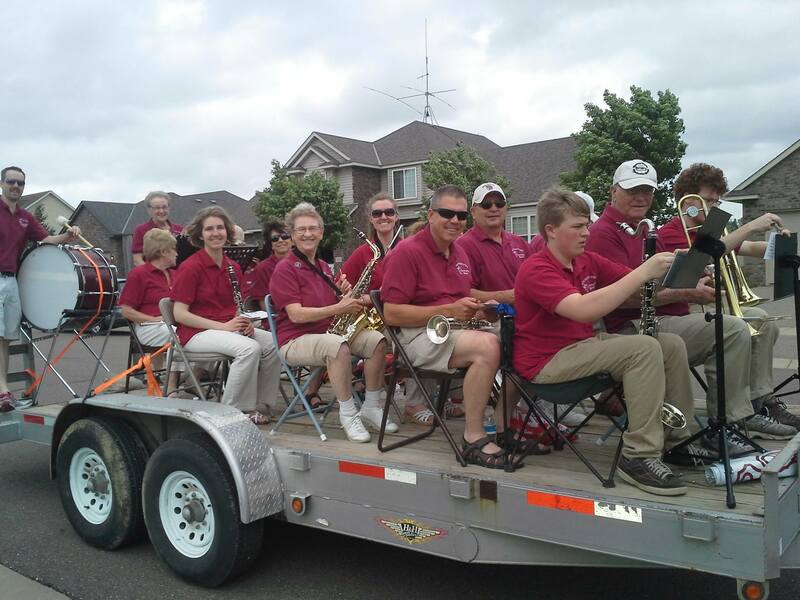 The Cannon Falls Community Band is made up of players aged 15-60. Children of original band members perform alongside their parents, playing marches, symphony and show tunes, as well as songs of American independence. 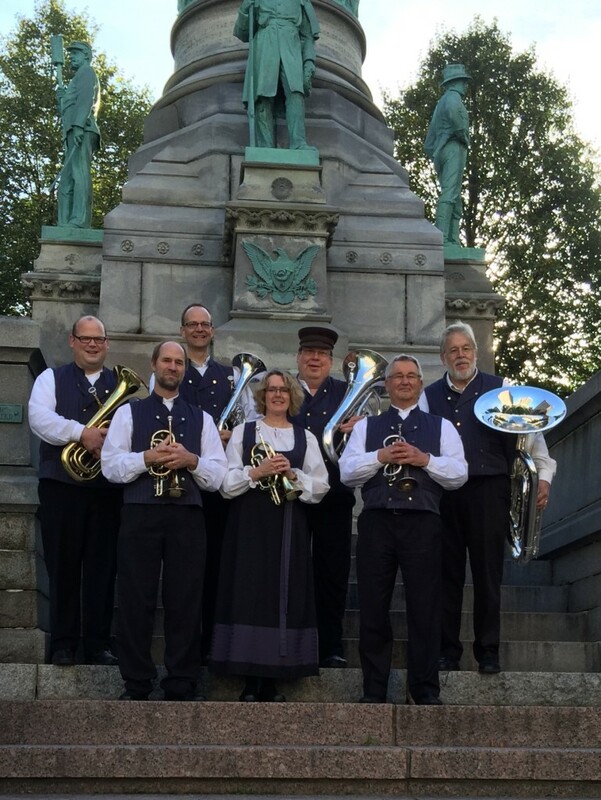 Cedar Valley Brass Quintet has been delighting audiences with exciting and entertaining programs in a variety of formal and casual venues. Performances have included weddings, galas, corporate parties, fundraisers, grand openings, holiday programs, and other social events. CVBQ has given recitals and concerts featuring music of early Renaissance composers such as Giovanni Gabrieli, Baroque music of J.S. Bach, classical selections, popular tunes of 70’s rock bands, jazz favorites, music of the Tijuana Brass, traditional wedding favorites, and much more. As a chamber ensemble, CVBQ is equally at home lending musical elegance to a traditional wedding, augmenting a worship service or providing light-hearted entertainment for a summer garden party. 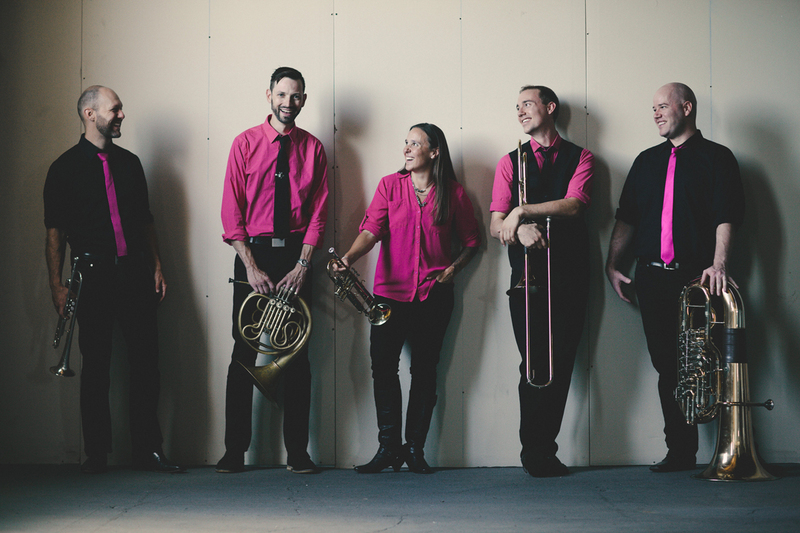 These five brilliant young musicians have style, substance and a flair for innovation, which has allowed them to transcend the brass quintet box and evolve into something fresh. 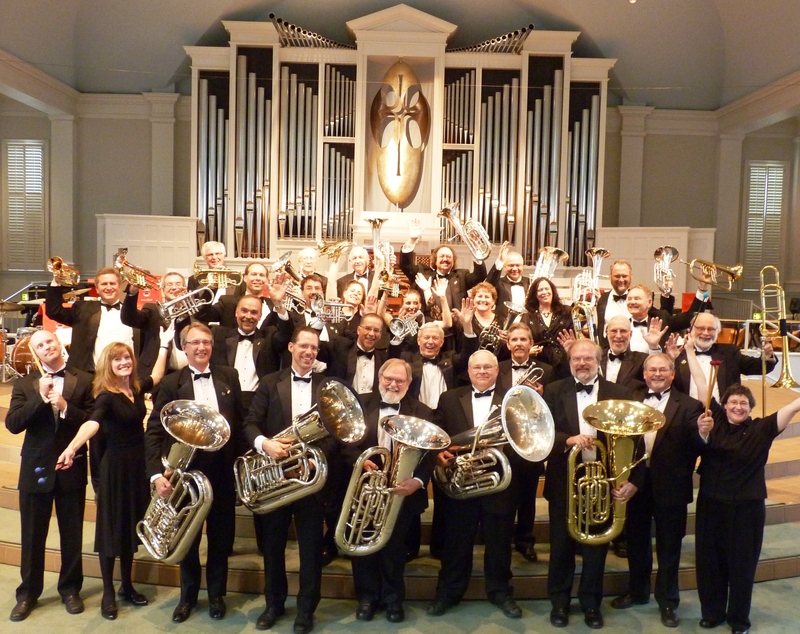 Copper Street Brass started in Albuquerque, New Mexico, in 2007 and settled down in Minneapolis in 2008. The group’s new tour program, “The Evolution of the Brass Quintet,” features music from Mozart to Dave Brubeck to Adele. Its blend of musical styles and fusion of electronic effects and brass has wowed audiences in communities across the country. Last season the quintet performed for 4,300 students in 25 schools. This Twin Cities-based woodwind quintet performs at special events throughout Minnesota, including The Schubert Club Courtroom concert series in St. Paul and the Munsinger/Clemens Gardens concert series in St. Cloud. It also plays classical and popular music for weddings, artists’ series, and charity benefits. The group has been featured on Classical Minnesota Public Radio’s holiday sampler broadcast. In 2010, the Fridley City Band celebrated its 50th season of performances.Long ago, in the fall of 1960, parent members of the Fridley Band Boosters Club decided to turn the tables on their musician children who usually were the featured performers at the Band Booster meetings. A brass ensemble of parents practiced and then performed for the group and was a smashing success. Other parents clamored to be allowed to join the group. The kids were even proud of us old folks (most of us were in our early 30’s). So we decided to start a City Band. Cedric Adams, a popular columnist with the Minneapolis Star, featured our efforts in one of his columns. We also advertised in the local paper for “wannabe” band memberts in the Fridley area who were interested in dusting off instruments and revitalizing skills left over from High School and College Band days. In 1884 to 1889 the prosperous and energetic Illinois community of Mt. Vernon enjoyed the music of its own Independent Silver Band. Composed of 10 local men, all of who actually attended the same church and Sunday school. 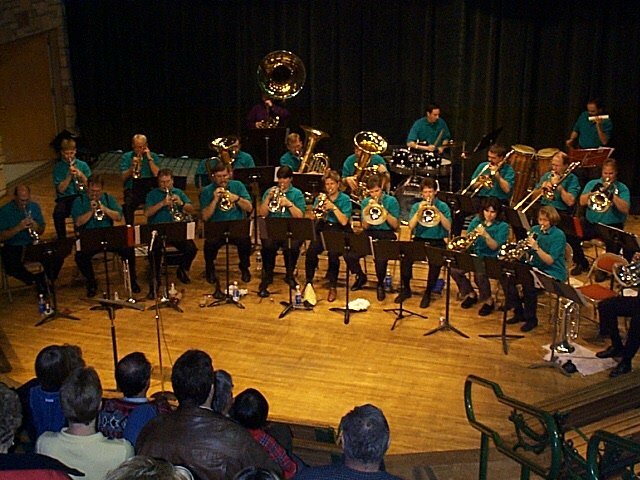 In July, 2004, the music of the independent Silver Band came to life once more. William L. Reynolds, of Mt. Vernon, a music educator and long-time circus operator and musician, achieved a lifelong dream by assembling the new ISB. Mr. Reynolds believed that he could make available the opportunity for thousands of people to experience authentic American music of the nineteenth and early twentieth centuries. By bringing together interested brass players and percussionists from Mt. Vernon and surrounding cities and towns in southern Illinois Reynolds created the proper team of dedicated persons, all of whom shared his vision to give audiences the chance to hear the music of a bygone time. Jack Brass Band is distinguished as Minneapolis’ only New Orleans-style brass band. Combining jazz with blues, hip-hop, rock, pop, funk, and reggae, the band’s percussion and brass blends create an awe- inspiring sound. The band has garnered praise from legends such as Wynton Marsalis, who said, “If you like your gumbo spicy and your music hot, check out the Jack Brass Band!” Jack Brass has performed at numerous festivals, clubs and events and is known to bring audiences to their feet with its rich tradition and New Orleans groove. Don Johnson was inspired to play the baroque trumpet in 2004 after attending the Historic Brass Society Festival. He introduced his friends to the instrument, and they formed a group dedicated to re-creating its sounds and styles, including signal calls, cavalry music, dance music, duets, solo music and trumpet with voice, which requires playing in different styles and tone colors. The band members also play modern instruments, and they dedicate part of their performance to educating the audience about the difference between the two types. 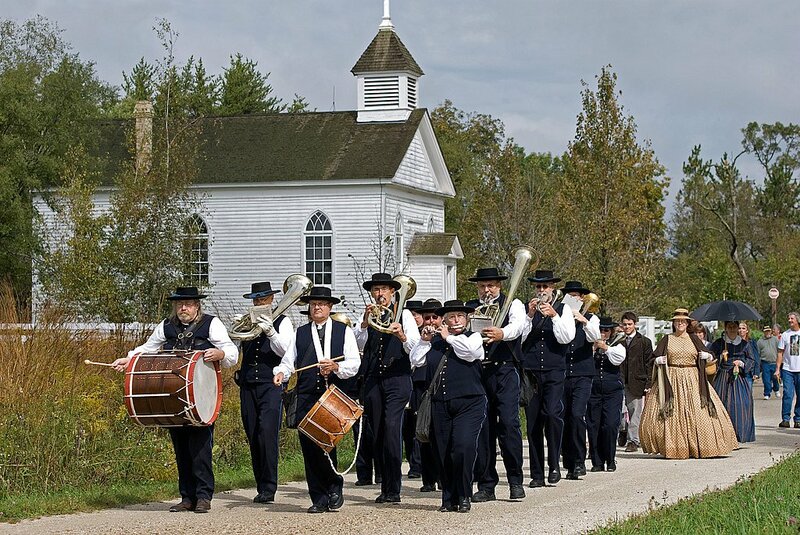 The band’s Civil War band incarnation, President Lincoln’s Own, performed live in Steven Spielberg’s movie Lincoln and was selected to be in the National Geographic movie Killing Lincoln. Focus: Traditional British brass band. tradition noted for its characteristic dark, mellow tone. The name “Wobegon ©” does come from Garrison Keillor’s radio show, A Prairie Home Companion, and was allowed on the stipulation that the band perform at a picnic sometime for Keillor. The ensemble gives concerts throughout Minnesota, Wisconsin, Iowa and the Dakotas and has toured twice in Great Britain. parks, band shells, nursing homes, neighborhood festivals and St. Paul Saints games. music and unusual, recovered, tunes that have not been heard for more than 100 years. band’s beginning two and a half years ago. 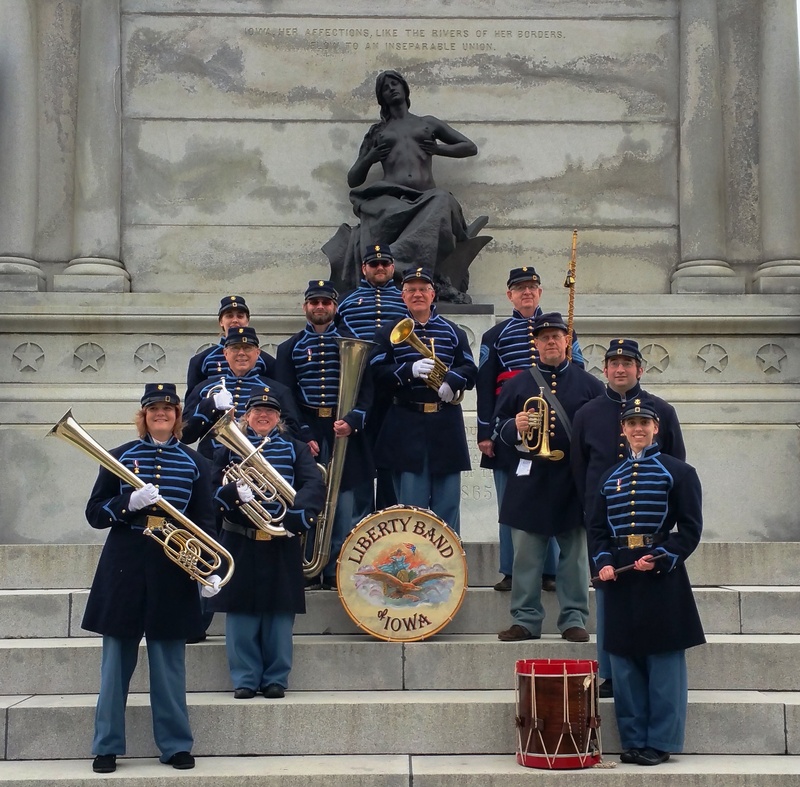 The Ludington Guard Band is a community concert band that was officially organized in 1888 but has roots going back to 1877. 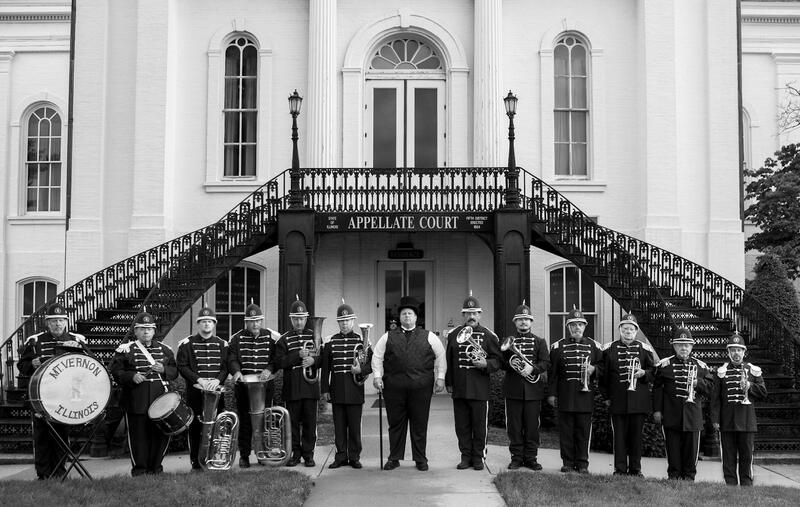 Hailing from Menomonie, they are the oldest continuously performing community band in Wisconsin. In the early days the band played a lot of military type marches, but the band began to evolve by introducing more concert and popular selections and lessening the band’s reliance on military music. Today, the band plays a large variety of concert band music including classical and new marches, overtures, and medleys from Broadway musicals and novelty selections. The Minnesota State Band, the official band of the State of Minnesota and the only remaining state band in the United States, has existed since 1898. Its history is closely tied to state military traditions, as well as a tradition of touring; since 1986 it has participated in six concert tours of Europe. While international travel is important, the band believes its primary mission is to provide high quality music to Minnesota residents. It operates as a non-profit organization with an all-volunteer membership. 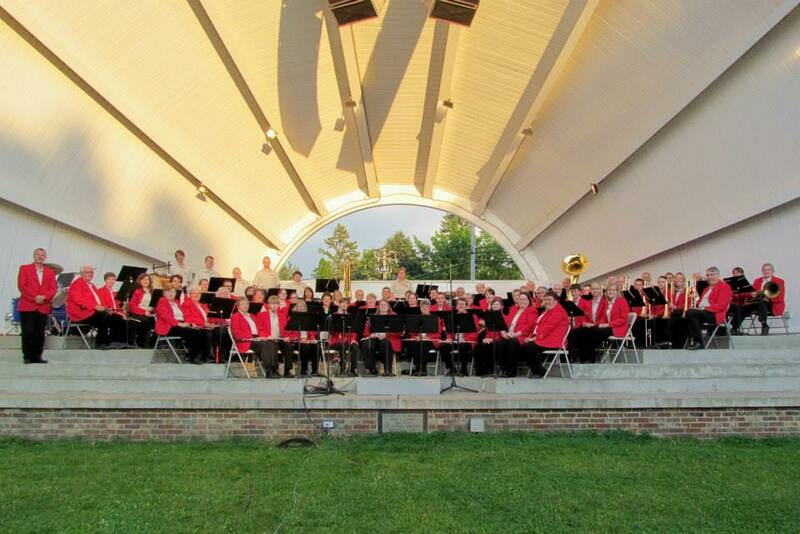 The New Prague Area Community Band consists of community members ranging from teenagers to retirees. It plays a diverse selection of band repertoire, striving to entertain all sorts of audiences. Band members are an energetic group who believe that music is fun; they try to show that in their attitudes and in the songs they play at local events and area celebrations throughout the year. Vaudeville: 1913 is a re-creation of an authentic Vaudeville show of the early 20th century. The show features songs, dances, jokes, comedy skits, and “silent” films from the period. Sponsored by the Carleton College Music Department and the Vintage Band Festival, this show features songs sung by Mary Martz and Ben Allen, tap dancing by Lynn Deichert, a dog act by “Chester, the soccer-playing Yorkie,” and a feature film, Back Stage, starring Roscoe “Fatty” Arbuckle and Buster Keaton. Many songs will be accompanied by original hand-painted illustrated song slides from the MarNan Collection in Minneapolis. The show also commemorates the 100th anniversary of the sinking of the HMS Titanic, with an original newsreel of the event, and some nautical songs. The North Star Cinema Orchestra is an authentic 12-piece vaudeville chamber orchestra consisting of music faculty from Carleton. It is directed by Ron Rodman. This quartet from Germany is sure to bring the house down! 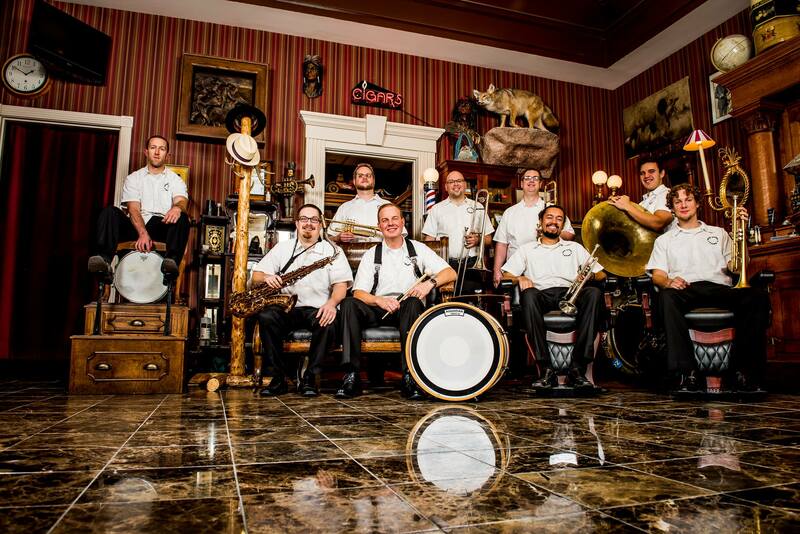 Masters of polka, the band presents traditional and modern brass band music with a sense of humor. It features a tenor horn, trumpet, tuba and accordion. 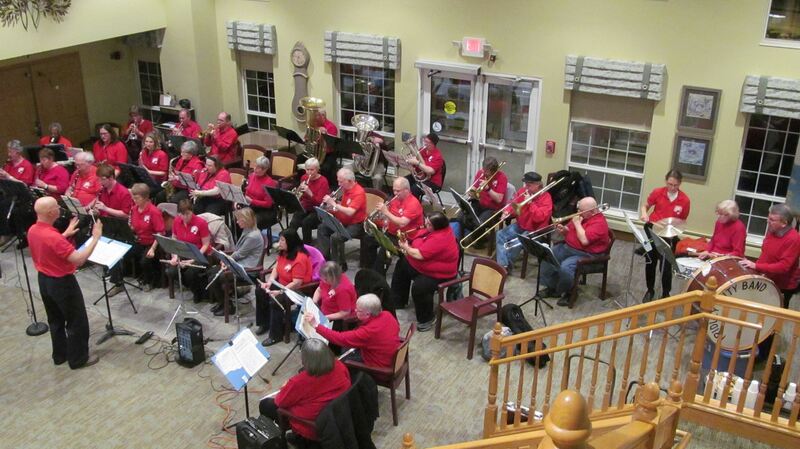 The Red Bank Reunion Band is a group of musicians that: are passionate about making music; are committed to sharing history with students of all ages; enjoy working together. Gathered from many different backgrounds and regions, they hail from: Minnesota and Wisconsin in the north; New York and Maryland to the east; and south and west as far as Texas. Their roots spread all over Kentucky, Illinois and Indiana. Doctors, Lawyers, Teachers, Ministers, Engineers, Machinists and retired Military all work shoulder-to-shoulder to recreate the music of the Civil War era using the actual band arrangements and appropriate instruments. The collection of instruments goes back to 1820! The Music comes from the Brass Band Journals of the 1850’s, the Library of Congress, and Collections in Historical Societies. At Vintage Band Festival 2016, this band will appear for the first time as a Confederate unit known as The Orphan Brigade Band. The Orphan Brigade was the nickname of the First Kentucky Brigade, a group of military units recruited from the Commonwealth of Kentucky to fight for the confederacy. 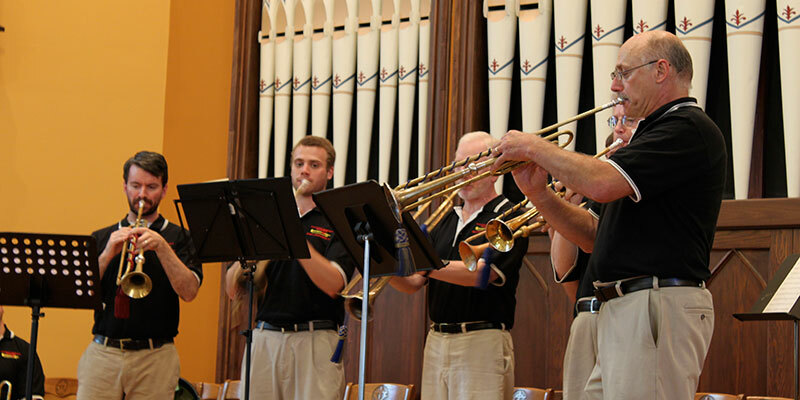 Since forming in 1995, the Polished Brass quintet has played for college and university commencement services, numerous wedding ceremonies, benefit concerts, indoor and outdoor parties, religious services, memorials, convocations, and conventions. The repertoire has grown to include many arrangements from all musical styles and periods, including the renaissance, romantic, bigband, dixieland, and modern broadway musicals and movie themes. Each person is an experienced musician with numerous performances to their credit. Whether you need music for a party or a ceremony, you can be confident that you made a sound choice with the Polished Brass. 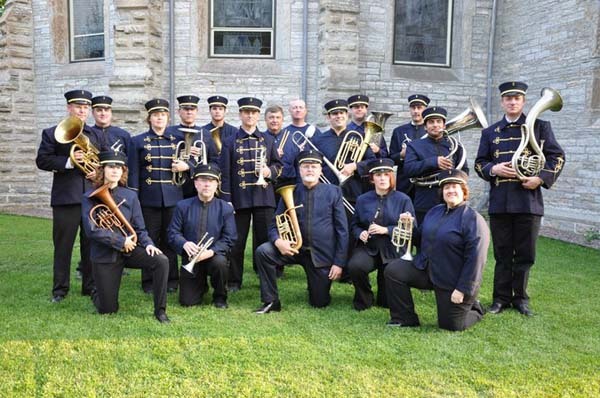 The musicians of Newberry’s Victorian Cornet Band are dedicated professional and semi-professional brass, reed and percussion players whose performance is as close to that of a late 19th-century professional touring band as is possible today. Like bands from that era, the group ranges from six players to a full ensemble of 30. It usually tours with 17 reed, brass and percussion players. The band plays only music that would have been heard between the end of the Civil War and the advent of the Sousa Band in 1892, primarily dance music. Concerts feature the most popular examples of polkas, waltzes, quicksteps, schottisches and mazurkas, as well as the march. 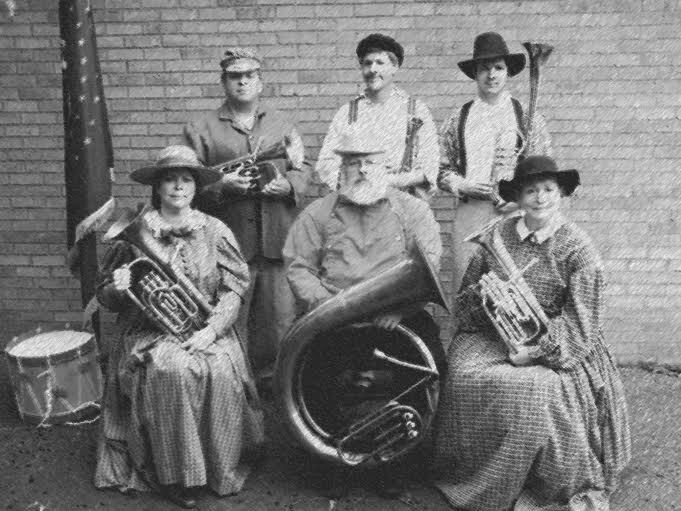 The Sheldon Theatre Brass Band was founded in 1989 as the resident performing ensemble at the newlyrestored turn-of- the-century T. B. Sheldon Theatre in Red Wing. The band is made up of cornets, trombones, tenor horns, euphoniums, tubas and percussion. 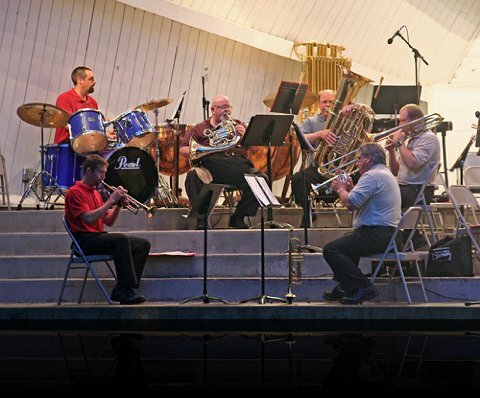 In addition to its regular performances at the Sheldon Theatre, the band performs at a variety of venues throughout Minnesota and western Wisconsin, and it has performed at many brass band festivals throughout the United States including NABBA Great American Brass Band Festival. This Twin Cities-based group prides itself on its versatility. Swing and a Miss has a core group of four fun and funky musicians and adds up to ten others to play a variety of genres, ranging from Motown classics to vintage jazz and swing to rock n’ roll. 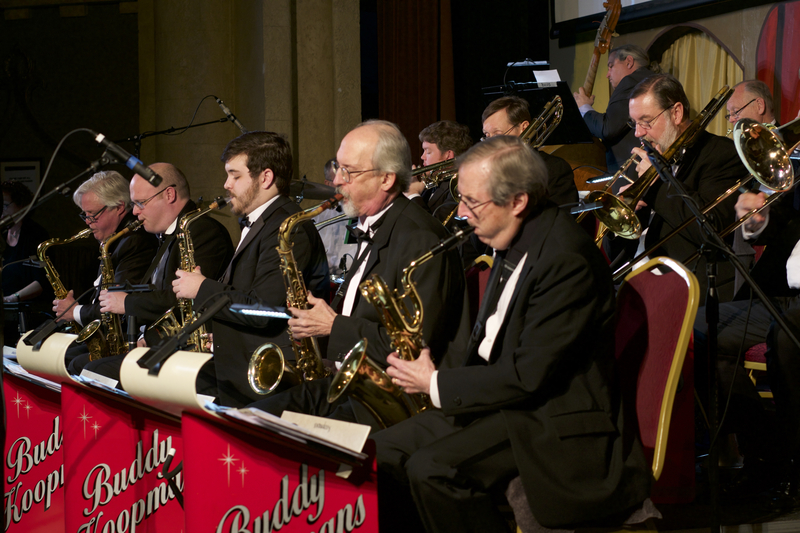 The band often performs for weddings, parties and corporate events. performances at Lake Como Pavilion and several churches. 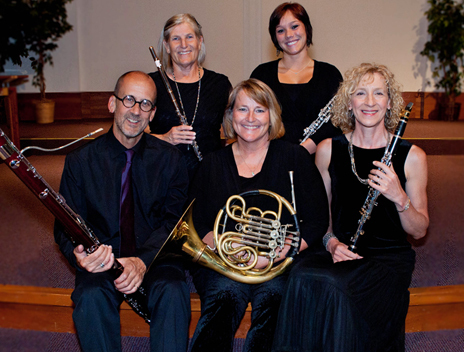 WindWorks is a Northfield and Twin Cities area professional woodwind quintet that was founded in 1993. 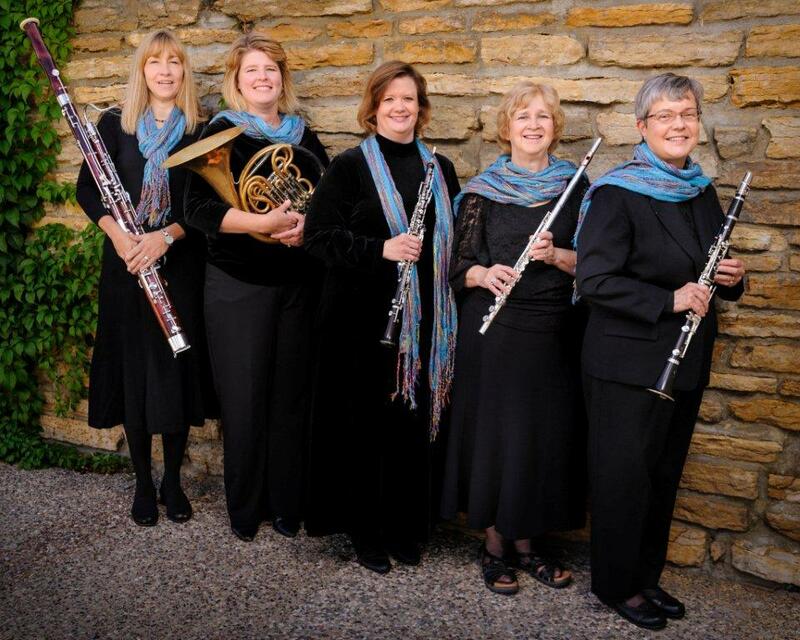 The group’s goal is to promote woodwind quintet music, as well as instrumental chamber music of all kinds, by performing recitals throughout the TwinCities metropolitan area, greater Minnesota and surrounding states. WindWorks was formerly known as The North Winds.